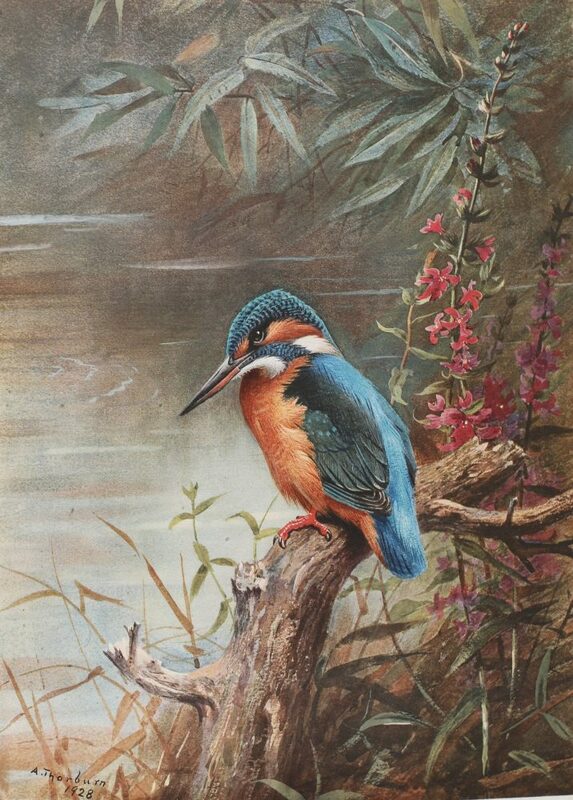 Archibald Thorburn (1860 – 1935) is one of Britain’s best-known watercolour artists, particularly for his pictures of birds and mammals placed in beautiful harmonious landscapes. His style of painting represented a step change in wildlife art around the turn of the century and the lifelike renderings of his subjects brought him early fame and fortune. Painting at a time when the obvious advantages that modern artists have were not available he produced some truly beautiful and accurate depictions of his subjects. No artist past or present has been able to improve on Thorburn’s technique for painting a bird’s plumage. Although he started his career painting birds and mammals he soon made the decision to focus his efforts almost exclusively on depictions of birds in their natural habitat. Not only did he produce a prolific number of original watercolours and grisailles but contributed to scores of natural history books for authors, ornithologists and explorers of the day, also finding time to write and illustrate six of his own. During his career he produced a large number of prints (the majority in partnership with publisher Baird Carter/Embleton) over 200 are catalogued in Waters, D. (2008) “Archibald Thorburn: Artist and Illustrator – The Prints and Proofs 1889 – 1934” soon to be published by Langford Press.